Taipei, Taiwan, 17 Sep, 2012 - PNY Technologies, Inc., a worldwide leader in memory products, today announced the newest addition to their pen drive product line, it’s the innovative Opener Attaché USB flash drive. The Opener Attaché is a high speed data storage device with a built in handy bottle opener for opening your favorite beverage, perfect for gadget lovers on the go. The Opener Attaché comes in a durable metal design and measures 50.9 x 16 x 6.2 mm. The storage capacities are available in 4GB, 8GB, 16GB, 32GB and 64GB memory space. Easy plug and use operation makes it works compatibly with all existing versions of Windows operating system and Mac OS 10.3 above. The Opener Attaché delivers quality, performance and reliability backed with a warranty of 5 years. 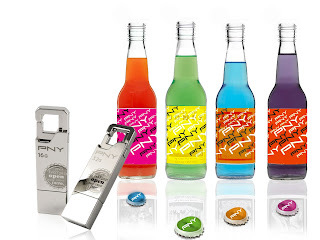 Established in 1985, PNY Technologies®, Inc. celebrates 30 years of business excellence as a leading manufacturer and supplier of flash memory cards, USB flash drives, solid state drives, and memory upgrade modules. The company’s Photography-Videography, Mobility and Business solutions are widely available from major retail, e-tail and wholesale outlets internationally. Headquartered in Parsippany, NJ, PNY maintains facilities in North America, Europe, Asia and Latin America. 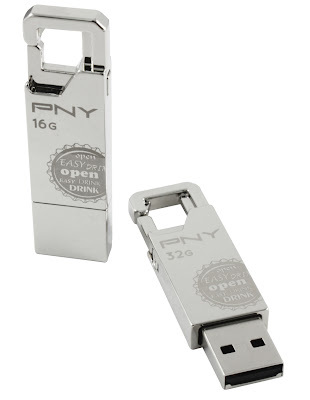 PNY is an authorized partner of HP since 2008. To date, PNY operates in 20 locations - with products sold in over 50 countries worldwide.